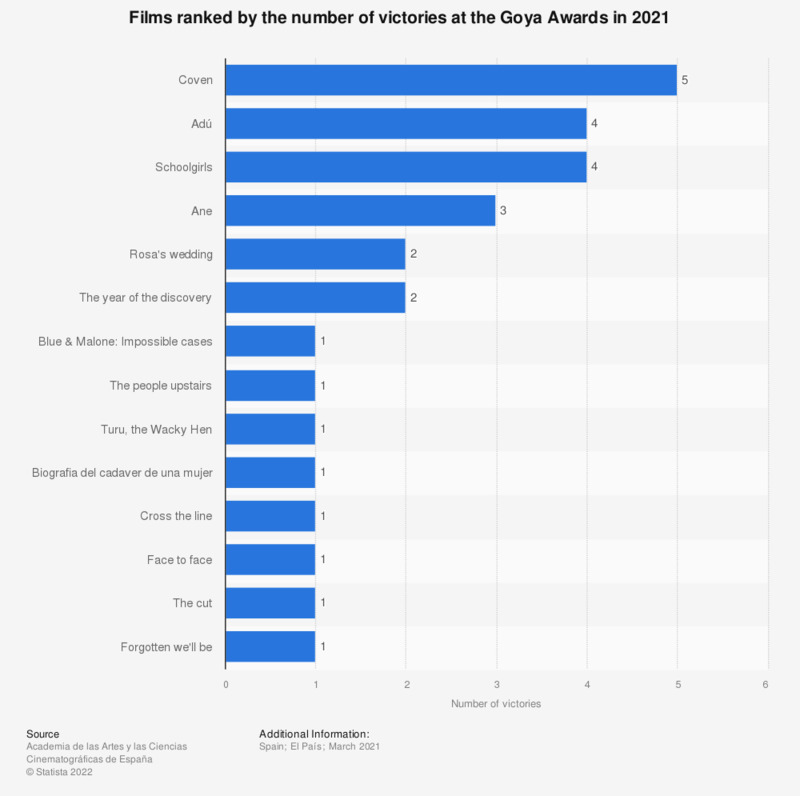 The statistic ranked the movies nominated at the Goya Awards in 2019, by their number of victories. Champions, directed by 11-time nominated Isabel Coixet, won a total of 3 awards, which were among others, the best new actor award and the best film that year. Figures were calculated by the Statista team based on the given information.